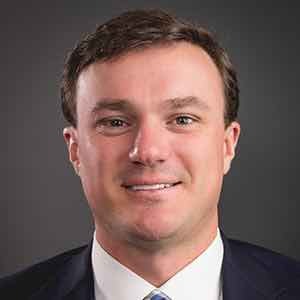 Mitch would love the opportunity to meet with you to discuss all the financing options Southern Trust has to offer. With a wide variety of resources and programs available, it is important to find just the right mortgage product for you. By clearly understanding your families’ priorities and circumstances, Mitch will come up with a plan to best suit your budget and lifestyle. Mitch is proud to specialize in many home loan programs including first-time homebuyers, FHA, VA and conventional loans. Currently, Mitch is licensed to do loans in North Carolina, with a concentration in the Cumberland, Harnett, Hoke, Moore, Johnston, Robeson, Sampson, Bladen areas. Mitch joins Southern Trust with a background in single-family construction, where he has been working with homebuyers to personalize their dream homes for seven years. A keen understanding of the construction process and a familiarity with the intricacies of planning and building each individual home allows Mitch to be especially helpful if you plan to purchase a new construction home. The most important aspect of every buyer’s experience is that you feel comfortable and confident in every single decision. Mitch will make that happen throughout your entire mortgage process. Mitch is a 2008 graduate of UNC-Chapel Hill with a Bachelor Degree in Management. He grew up in Fayetteville and has lived in the area since leaving Chapel Hill. Mitch has been married for five years and has two young sons, Smith and Finn.